Here's the deal, CityLife Church cares about one thing more than anything else, Jesus Christ. CityLife Church is a family of individuals from all over the world who have found home in Jesus and home in community with each other. We want you to find home with us, encounter Jesus and pursue gospel change in Jersey City together with your new family. CityLife was started in 2012 with a vision and a love for Jersey City. We have seen many people come and go and we have met in an art gallery and an old church building in the process. We have loved numerous neighborhoods and have started missional communities. What's the bottom line? We want to see God-sized impact all over Jersey City. We want to make disciples (devoted followers of Jesus) who make disciples who then in turn make more disciples. We want to see people find hope in Jesus Christ. We want people to find home in Missional Communities. We want people all in with us as we follow Jesus in bringing grace, hope, and love to all those who can’t find their way. CityLife Church is part of the Christian and Missionary Alliance, a denomination founded in New York City whose main agenda was loving and sharing the Gospel with immigrants coming off of the boats. To learn more about the Christian and Missionary Alliance, visit this link to their website. What does this mean for you? Most importantly, you're always welcome at CityLife Church. We're saving a seat for you. 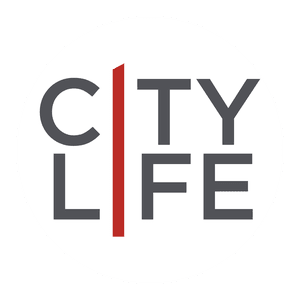 Wherever you're at in your faith journey, you'll always be accepted as part of the CityLife family.